Proffesor K.S.Krishnamurti : The Pioneer of modern Stellar AstrologyProf.Krishnamurti was born at Thiruvaiyaru (Lat.10 48N; Long 79 15 E) a short distance Northeastward of the town of Thanjavur in Tamilnadu. Thriuvaiyaru the “Sacred” land of “five rivers (Cauvery, Coleroon or Kollidam, Kudamurutti, Vennar and Vettar) is considered as sacred as Kasi or Varanasi (Banares), if not more. (Kasikku vessam adhikam Thiruvaiyaru). The place is associated with the name of Saint Thyagaraja, a great devotee of Lord Sri Rama and one of the Trimurtis (Trinity) of Carnatic Music, the other two being Sri Syama Sastri and Sri Muthuswami Dikshitar. Prof. Krishnamurti was initiated into spiritual practice by Mahakavi Sri Sundaresa Sarma. Brahmasree Sundaresa Sarma is a divine soul, a great Sanskrit poet and scholar. After finishing his education at St. Joseph’s college, Tiruchirapalli, Prof. Krishnamurti entered the service of the Government of Tamilnadu in the Public Health Department at the King Institute, Guindy, Madras ,on 14-7-1927. He studied the Hindu and Western systems of Astrology thoroughly, but was deeply disappointed at the inadequacy and lack of precision of both. He noticed that a planet in its period invoked the results of a house with which it is not connected by occupation, ownership, association or aspect which are the ordinary considerations in prediction. This opened his eyes to the supreme importance of constellations in prediction. He established by his researches that the results of a planet (in its period) are strongly modified by the lord of the constellation in which it is posited according to the occupation,ownership, association and aspects of the latter. Prof. Krishnamurti understood that the difference in the result should be attributed to the exact portion of the constellation occupied by the planet. For determining the zone of the constellation occupied by the tenanting planet the constellation had to be divided in some significant, scientific manner. The idea of dividing the constellation in the mysterious unequal Vimsottari proportion attributed to the venerable Sage Parasara struck him . Prof. Krishnamurti succeeded again in establishing through his researches that the manner (favorable or adverse) in which house result are invoked by a planet is dictated by the lord of the division of the constellation in which the planet is posited (whom he calls the sub-lord) according to the occupation, ownership etc., of the latter(the sublord).The problem of differences (in longevity, financial status, profession etc.,) in the lives of twins born within very short intervals which have a bearing on the house -cusps had also been engaging his attention from the beginning. Prof. Krishnamurti takes the house cusp as the starting point of the house and not as the midpoint as in the Sripathy Padhdhati of Hindu Astrology. He has established through innumerable correct predictions that his method is correct. Like the planets he subjected the house-cusps to the method of constellation and sub. The planet owning either the constellation or the sub on the cusp of a house gives the results of the house provided it is in a constellation and sub sympathetic to the matters of the house.Likewise a planet posited in the constellation of the constellation lord or the sublord of the cusp of a house invoked the results of that house in the manner dictated by the planet’s sublord. There are innumerable “yogas” (which do not take into account house connections in any scientific manner) which fix the longevity in various ranges.There is the method of Ashtakavarga based on rough Rasi chart which is used to predict longevity.All these tumble down before the problem of difference in the longevity of twins. The prosperity or prediction of a bhava is generally examined with reference to the sign strength of the bhava lord and bhavakaraka, their benefic or malefic associations and aspects. He understood that something fast moving is to relied upon. And that is the house cusp which is rarely marked or examined by the vociferous protagonists of Astrology. If the cusp is caught in the right sub, a thorough examination of the stellar position and disposition of the sublord would reveal the fate of the bhava correctly. This too Prof. Krishnamurti established through research on innumerable charts. The differences in the longevity, financial status, profession etc., of twins were explained remarkably & accurately by the sublords of the relavant cusps. Prof. Krishnamurti noticed that great gains came to some during “Sade Sathi” honour on Chandrashtma day and so on. He extended his stellar technique to transits as well. The lords of the constellation and sub transited by the transiting planet explain the events accurately in terms of the houses they signify. Prof. Krishnamurti was thus able to supply the missing links in the existing techniques of prediction found a unique technique comprehensive, scientific and minute, a Padhahati known by his name, a system that would apply to the goose and the gander alike. Prof. Krishnamurti ‘s theory that the planets co-ruling the moment when a matter is taken up for examination with real urge will co-rule the moment of fructification of the matter as well is immensely helpful in pinpointing the time of occurrence of events especially in Horary Astrology. We have seen how unerring predictions can be offered if a chart is erected scientifically for the correct birth time and the house-cusps are caught in the right subs. Reversing the process, the subs of house-cusps can be fixed accurately, if a few events relating to the native or those directly related to him (say, parents) are known. Ruling planets coupled with events constitute an excellent method of rectification of birth time. Those who thirst for the knowledge of the minute secrets of prediction can quench their thirst abundantly if only they approach Krishnamurti Padhdhati with gentlemanly faith. This is an excellent system (Paddhati) of astrological predictions conceived, created by The Great Indian Astrology master, late Prof. K.S. Krishnamurti. KP System is based on finer points of Indian and Western astrology and borrows important concepts from many branches of astrology. 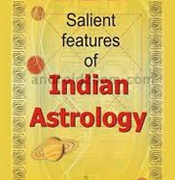 Regarded as most accurate system of present time, KP System of astrology is easy to learn and easy to apply. Contrary to classical Hindu astrology, KP system is systematic and very well defined. KP goes beyond stellar and makes use of the sub lord of houses and planets. The basic principle of KP method is that the results are offered by the star lord (constellation) of any planet and whether it is good or bad will materialize or not will be decided by the sub lord. Houses (cuspal) sub lord promises various events during the lifetime of the user. Planetary sub lord decides if it is going to materialize in its dasa period. The Western system is based on aspects, which the planets make among themselves, and aspects they make with the houses.